Ok maybe a little cleaner than that, and more unpacked. And the lamp in the middle of the room is now behind the bed, in the middle of the room. This really is the photo from the weekend we moved in, but you get the point. Our room is nothing glamorous right now. 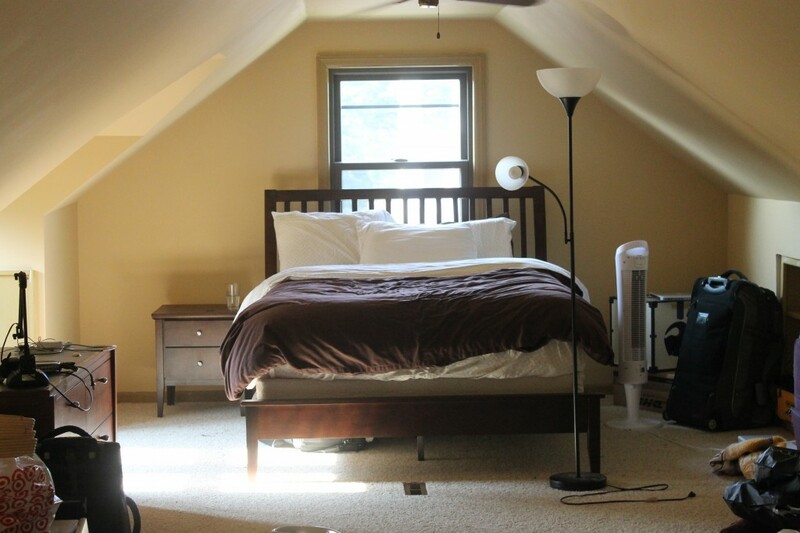 Just a bed, a few lamps, a night stand, 2 dressers, and a dog bed. Well obviously, it isn’t going to look exactly like this, but I can sure get close! And obvious point #2, I spend far too much time on Pinterest, looking at everything. We all know the whole world is on there, captured in small photo tiles. Now that I have a concept, I have been plotting how I plan to execute this pretty room, in my own space. I totally am up for suggestions, so feel free to share them! Room color is big. 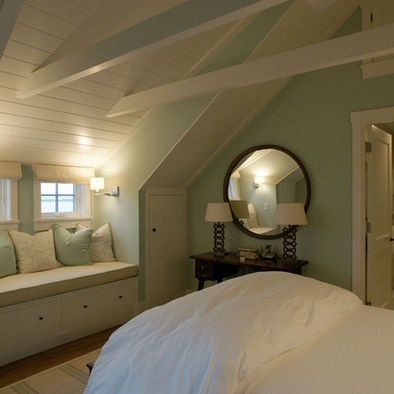 I am totally in love with this wall color: Seafoam Spray . 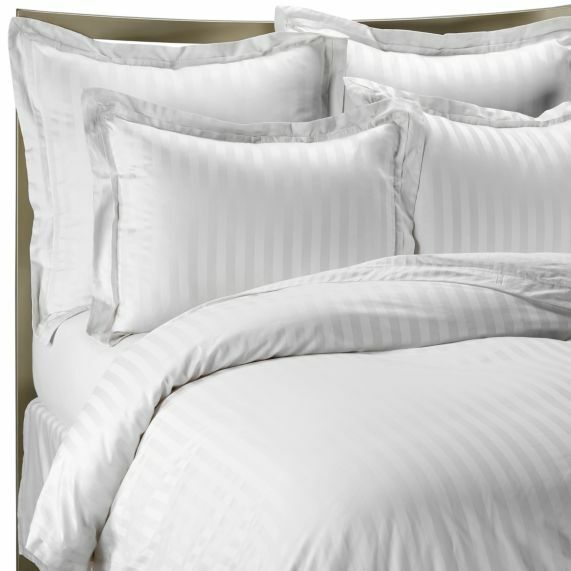 I am all about Duvet covers, #1 because I love my comforter, and #2 when you have a dog who likes to lick “himself” on your bed, you need something that can be washed at home, frequently. I already own these Threshold Sheets in the Tan Geo and really love them- super soft, and wrinkle-free. 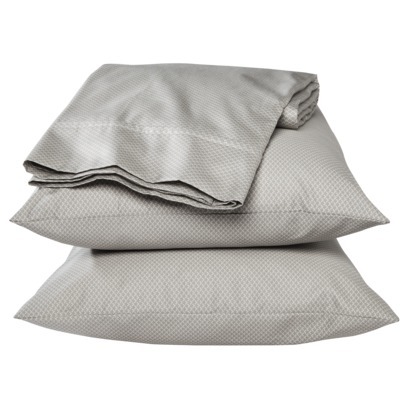 It would only seem right to update to this nice grey color, since I already know I sleep so well with these sheets. The grey will add a little color to the bed, but not too much. A year ago we bought two arm chairs at a consignment sale for like $20 each. I have been planning to re-upholster them ever since, but have not found the time. 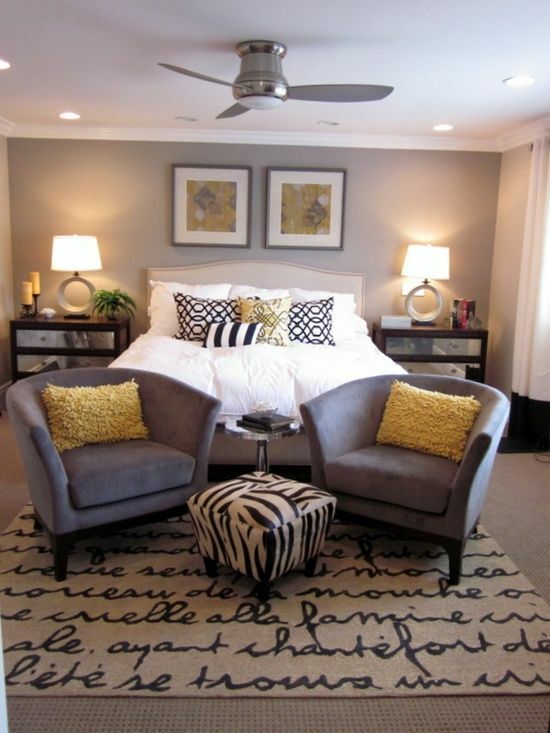 I like the way this room is set up with the chairs as a small seating area in front of the bed. Our chairs might be a little too tall for this idea, but our room is spacious enough, we could create our own little area. Not that we really need our own little living space up in our room, since we have the whole house to ourselves, but it would look nice and feel cozy. As for room accessories there are lots of things out there I am loving. 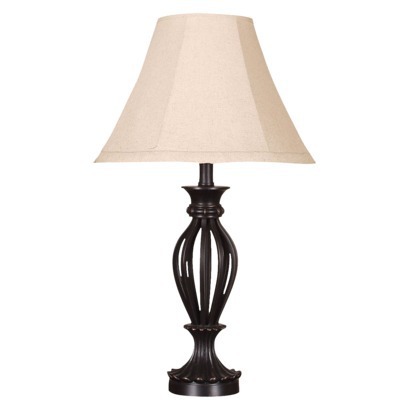 These lamps for the bedside tables, or these, these, or these. 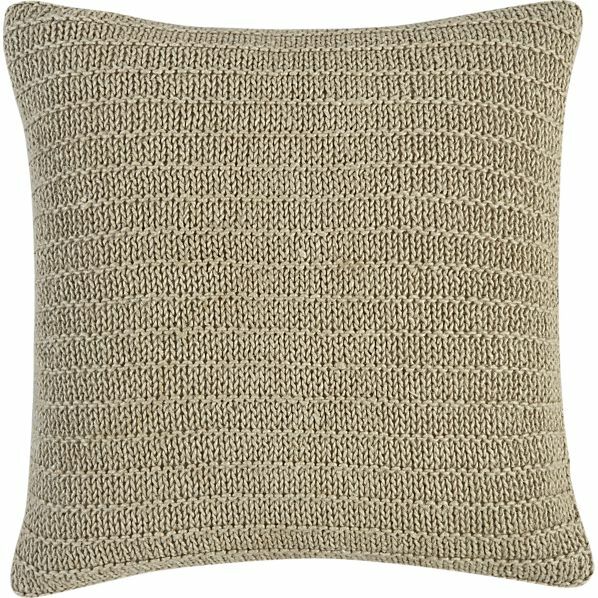 I would love to add some texture and color with some pillows like this, this, this and/or this. As for wall decor, I am in love with the mirror from the inspiration photo, but with our pitched ceilings and short walls, there really is no room. The tall walls on each end of our room, will need some dramatic curtains, so I don’t really for see anything on those either. 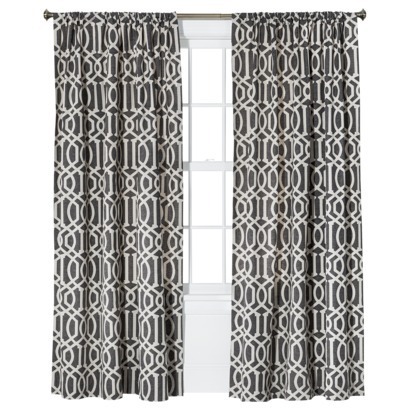 I think I might make the curtains with this, this or this fabric. Well that was fun, getting all my thoughts out and organized for you guys. Do you think it will work? Do you think I need to reconsider? I would love to hear your ideas for our room or thoughts on my plan. Or if you generally love it! To see more of what is inspiring me for our house, check out my Pinterest Board. 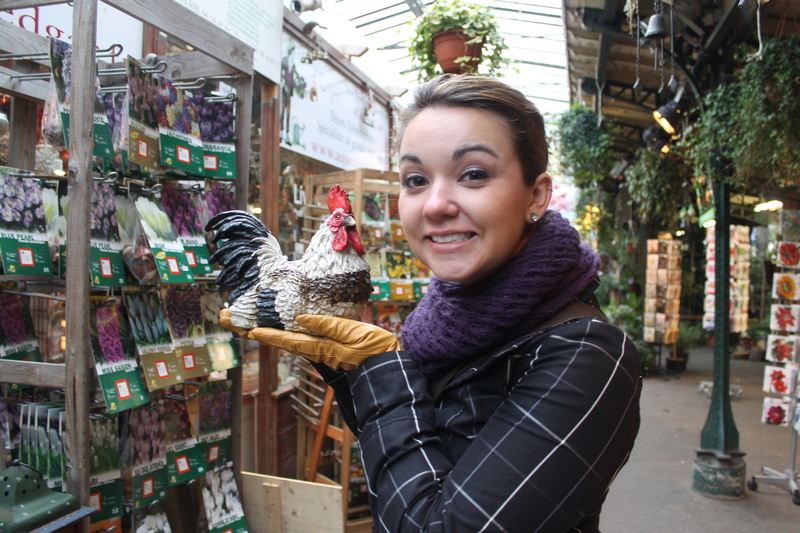 Country girl turned urbanite. Finding ways to mess up my kitchen, keep my country roots and explore all that city living offers!